Somebody thought that breakfast was over and walked into the other room to check her e-mail (while a happy little boy watched an episode of Thomas the Tank Engine). 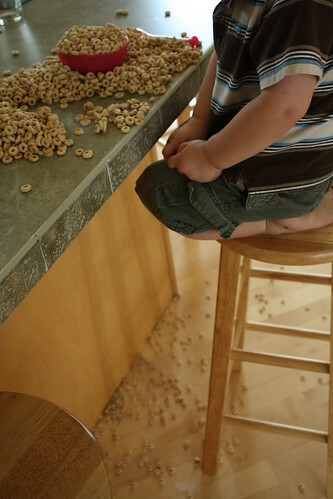 Somebody else decided he was still hungry and climbed up the bar stool to help himself to another bowl of Cheerios. 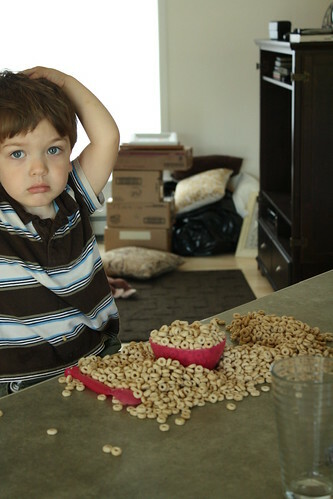 So, why bother cleaning up the kitchen after breakfast? It's never effective.